There is no such thing as a typical user of this system. 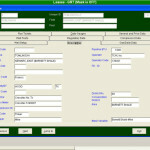 Users include; independent reservoir engineers doing reserve reports, production engineers working up AFE’s and monitoring daily production, bank engineers tracking petroleum loan packages, CFOs tracking their borrowing base, property tax professionals assessing ad-valorem value, plus investors buying and selling producing properties. 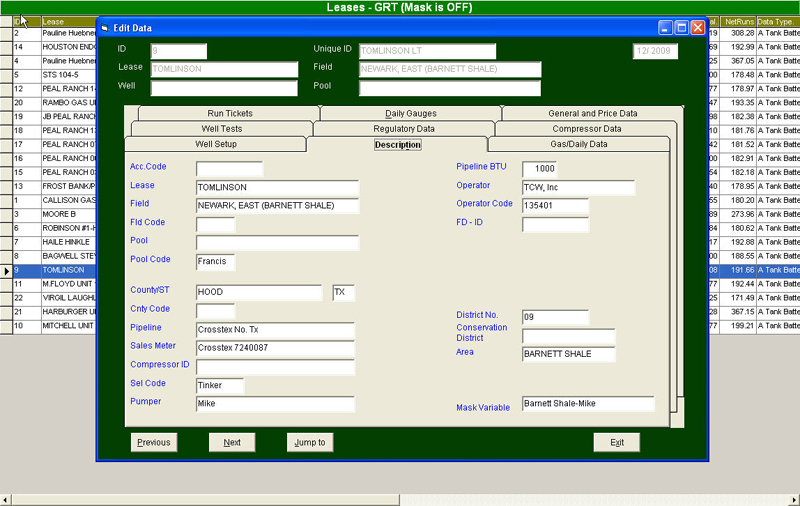 TCW’s ProdEval software is an excellent system to evaluate Oil and Gas Properties for Property Tax purposes. Most local taxing authorities assign a value to producing oil and gas properties as a way of generating local revenue. This ad valorem tax – “according to value” – is a tax based on the value of the asset. For producing oil and gas properties this value is normally set using the concept of net present value of a projected future stream of income. 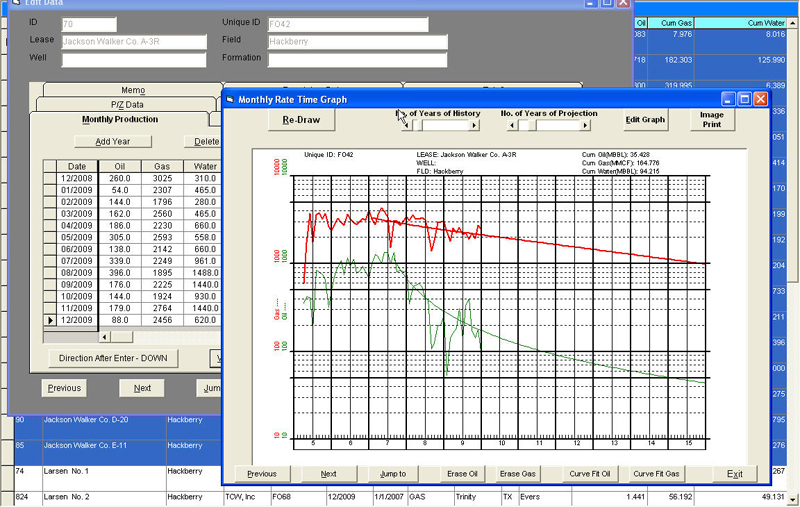 TCW’s production and evaluation software, ProdEval, is uniquely qualified to handle the work of assessing value to a large number of producing wells. 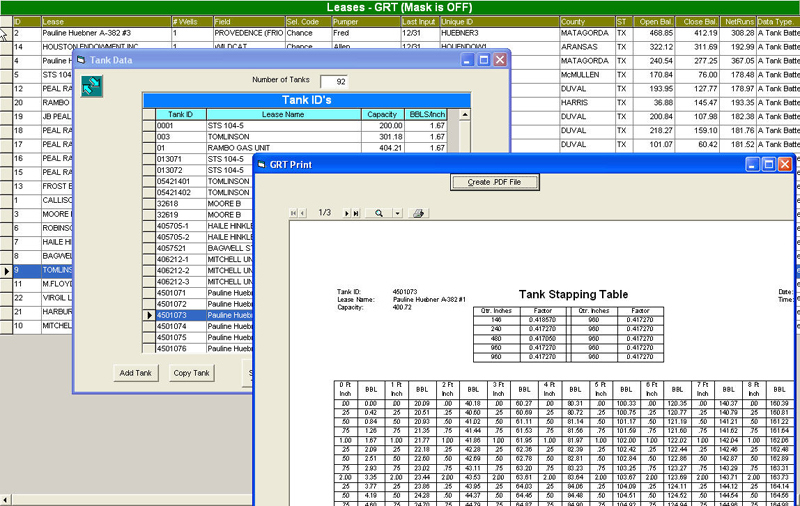 The system has easy ways of building a current database of production using a combination of excel imports and commercial production data sources, such as Lasser Data Systems, Drilling Info, or IHS. Another tie-in is with the commercial data company, Gas Search which can provide pricing information. With special data capture of specific property tax information, ProdEval will produce a number of standard excel reports whose format is widely recognized and used by county taxing authorities. What pulls all of this together for the user are the tools that the system has for the user to easily work their way through a large number of wells in a very organized and thoughtful manner. TCW works with a large number of independent tax appraising firms as well as operating companies who do this type of work in-house to keep the system current and up to date. 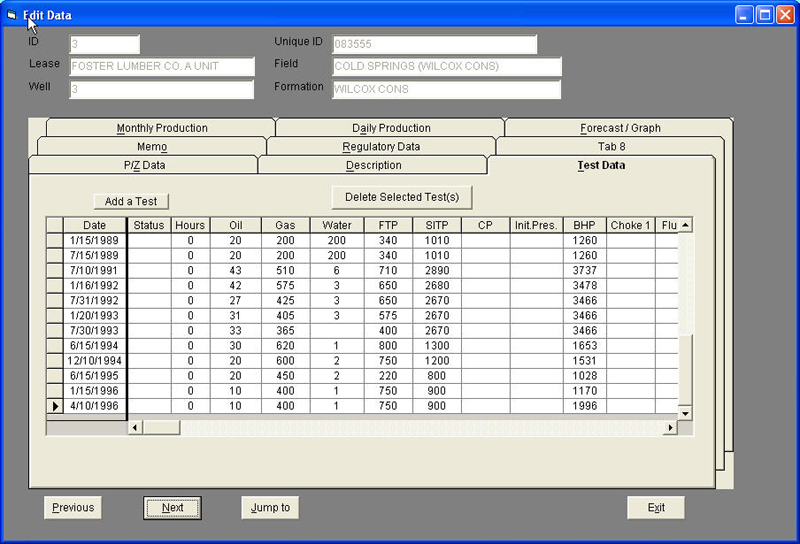 TCW’s ProdEval software is the primary tool for Tracking and Monitoring Production giving users of the system an efficient way to manage and account for production. For a business that owns oil and gas production, the need to track and monitor that production on a monthly and sometimes daily basis can offer certain challenges, especially when the well count begins to increase. 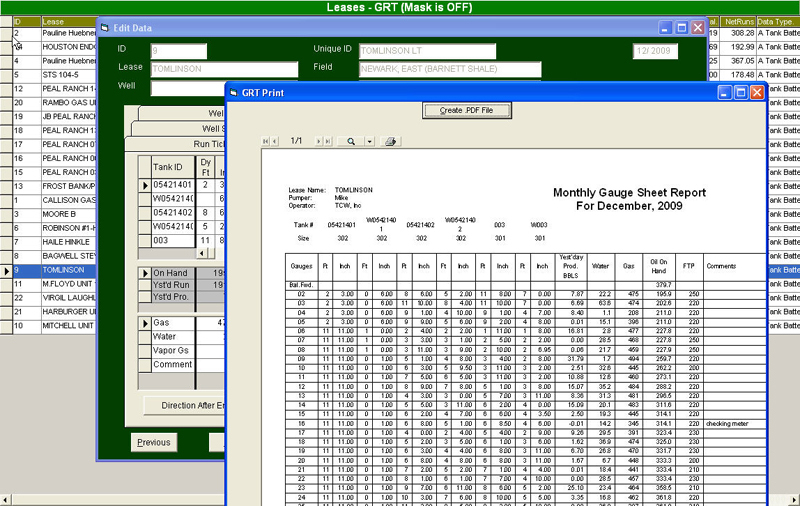 Initially it is common to track production on spreadsheets, but after awhile this can get to be cumbersome. 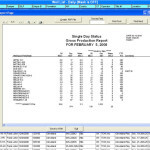 Likewise production is often tracked by accounting software, but this often, too complicated, lacks the ability to forecast, and to be proactive when it comes to problems that a comprehensive production system can easily highlight. TCW’s ProdEval system is designed so that entry of data can be done in an efficient manner and shared with many different groups. This includes stake holders that are both inside and outside the business entity. 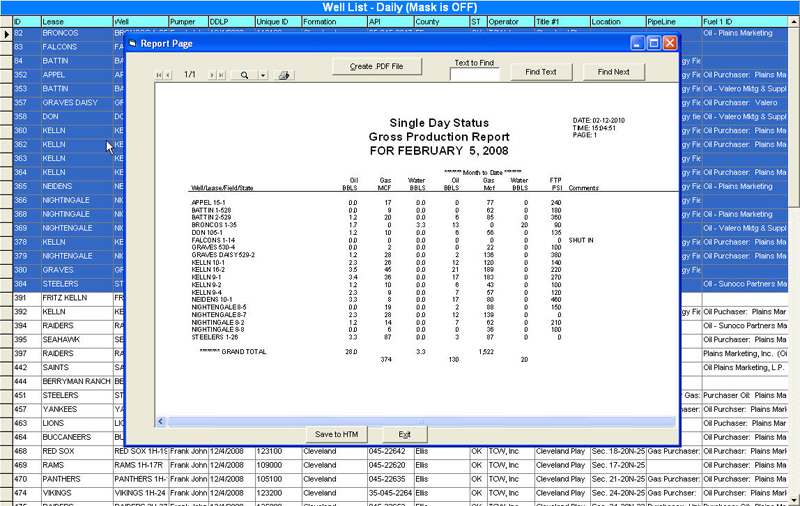 Production data, can be generated and uploaded by TCW, electronic gauge sheet program, GRT; it can come in through spreadsheets, or commercial data sources or other software packages. Once the data has been entered into the database it can then be selectively exported to other system though the normal cast of file types. Both operated and outside-operated data is easily handled. When working with daily information there are numerous reports that are capable of highlighting variances from prior trends thus allowing an analyst to pick up on problems in order to initiate remedial action. 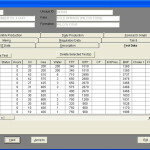 The forecasting of future production and using sophisticated curve fitting techniques in conjunction with production declines is an easy way to compare current values with projected values. All of this is accomplished in a straight forward and easy to use system. 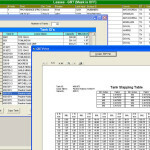 Store production volumes, well test values, and economic parameters in a single database. 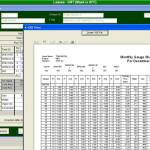 Easy data entry from spreadsheets and commercial databases. 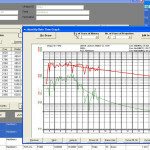 Easy to use graphing capabilities and rollup of production.